Today’s Illustration: Cause: Still Unknown Today! It Shocked The Entire World! No matches or lighters were permitted on the airship. The airship had made 34 trips across the Atlantic the previous year. Tens of thousands of people had previously flow in such airships. Zeppelin pins and Valentine cards were produced to highlight such airships. 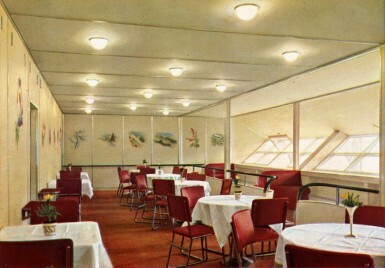 From 1928 to 1937 the Hindenburg and the Graf had made over 2000 trips across Europe, to America, and to Sought America. It arrived hours late on its trip from Germany due to headwinds and disruptive weather. It arrived at Lakehurst midst a thunderstorm on the New Jersey Coast. History records that the Hindenburg exploded when the hydrogen gas which was used for its buoyancy, was sparked and exploded. Hydrogen is a volatile gas which explodes on ignition. Helium is not a volatile gas and does not explode when ignited. The reason that helium was not used by the German airship was because the United States refused to sell it to Germany. The United States controlled almost all of the helium gas during these early years of Nazi Germany since Germany used airships during WWI for bombing. The LZ 127 — Graf Zeppelin was the sister ship of the Hindenburg and was used for service without incident even though it was also filled with hydrogen. Its success was primarily because the airship was redesigned and used different materials. It flew over a million miles. Ferdinand von Zeppelin was the man who designed and built the first of these airships. The airships were used for transatlantic flight from approximately 1928 to 1937. The Hindenburg was a big as the Titanic. It is believed today that it was not so much the hydrogen, as it was the materials used for the airship’s skin, that sparked the explosion and supported the fact that the Graf Zeppelin flew without any such incident. A slow-motion picture of the explosion shows a downward movement of the flames, not an upward movement which would be what one would expect if it was the hydrogen. The disaster took around 32-37 seconds from the beginning to its final crash on the airfield. Amazingly!!! — Sixty-Two people survived. “Buchanan, who now lives in Tuckerton, was right there – and he said he saw the spark that caused it. Indeed, this eyewitness disagrees with experts about why the Hindenburg disaster occurred. With his brother Frank and some cousins, Buchanan was part of the ground crew that helped guide the hydrogen-filled airship to its mooring post via towlines. And then it happened. Buchanan reported what he saw [the backfiring of the airship’s engines] in a questionnaire given to ground-crew members, but he appears to have been ignored by the official boards of inquiry convened both here and in Germany. 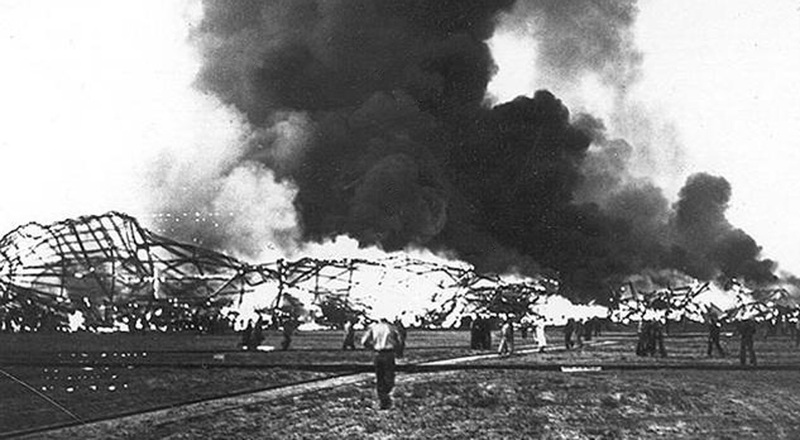 But in a book titled The Freedom Element, Addison Bain, a former NASA scientist who conducted his own extensive investigation, referred to it as a “smoking gun.” Bain, whose research included work at archives of the Zeppelin Co., which manufactured the Hindenburg, concluded that the real accelerant was not hydrogen, which burns with a colorless flame, but the dirigible’s cotton-fabric skin, which was coated with a highly combustible aluminum powder to help control its temperature. The sparks from the engine exhaust were not the source of ignition, he believes, but rather an electrical charge produced by the exhaust particulate. Airships, such as the Hindenburg and Graf soon became obsolete, even before the disaster because, on November 22, 1935, a Pan American Airways’ M-130 made the first scheduled flight across the Pacific. • Somethings may never be known. • It started out as a normal day. • It shocked the world! • what if . . . .? • The Question: What Caused It? Who or What Is To Blame? • Life can turn on a dime. “In the late 1990s, a NASA hydrogen specialist named Addison Bain set out to prove that the fire was the result not of the hydrogen igniting, but rather the ignition of the aluminum-doped fabric that covered the ship. The key, Bain said, was the fact that the silver paint on the ship’s hull was almost identical in chemical composition to the fuel used in the solid rocket boosters of the Space Shuttle. Subsequent to this, Bain’s theory was picked up by the popular press as being “THE answer, case closed,” although the fact of the matter was that in all too many cases he’d cherry-picked evidence to fit his predetermined conclusion and his theory was, according to most airship historians, full of holes. ← Today’s Illustration: Comeback & When . . . . !